"Softube has done it once again with American Class A—it's one of the best plugin channel strips on the market today." Perhaps more than any other type of hardware, large-format analog consoles stir up gear lust and envy from producers the world over. 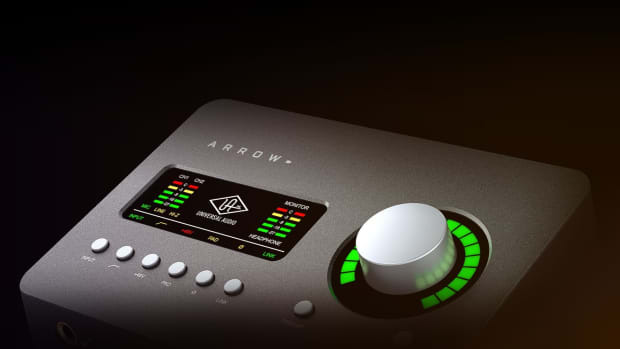 Whether you&apos;re starting out learning the basics of your first DAW or producing hits at the highest level, no single piece of hardware evokes the feeling of being in a special, professional studio as much as a high-end analog console. While there have been countless types of consoles used to produce and mix legendary records, any discussion of them inevitably surfaces the same 3 major brand names: API, Neve, and SSL. Each with a distinct and unique sound across their various product lines, these 3 console manufacturers have dominated professional studios across the globe for the last four decades. In the software realm, there&apos;s no question SSL emulations have dominated the plugin marketplace for the past decade or so. You&apos;d be hard pressed to find any major plugin developer who hasn&apos;t tried their hand at modeling the boards used on more hit records than any other console brand, and we&apos;ve covered a number of these emulations here on DJBooth Pro Audio. While the SSL sound is absolutely deserving of its reputation, the almost obsessive focus on modeling one particular brand has, in my opinion, caused many producers and engineers to lose sight of the brilliant work done by the designers at API. Originally known as more &apos;rock-oriented&apos; consoles, API gear is known for its uniquely mid-forward sound and incredibly punchy compression capabilities, along with low-band EQ&apos;s that can produce earth-shaking bass without muddiness or unwanted rumble. Thankfully, over the past year or two, we&apos;ve seen more developers focusing on the API sound as the SSL marketplace becomes increasingly oversaturated. 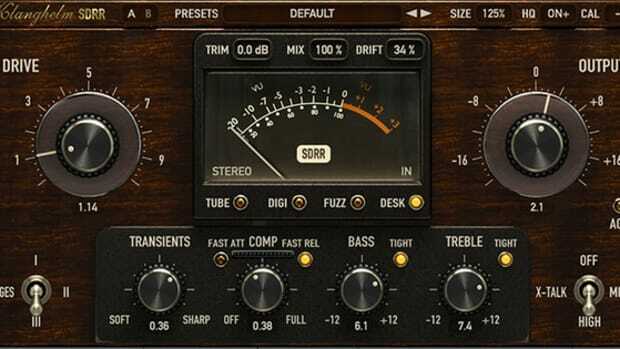 Softube, who&apos;s top-notch analog modeling work has earned our praise in several previous reviews, is the latest developer to offer their take on the legendary API sound with their new channel strip, Softube American Class A. In this review we&apos;ll take a deep dive into the Class A plugin, which in my testing became one of my most frequently used plugins and one I&apos;m grateful to have in my arsenal. 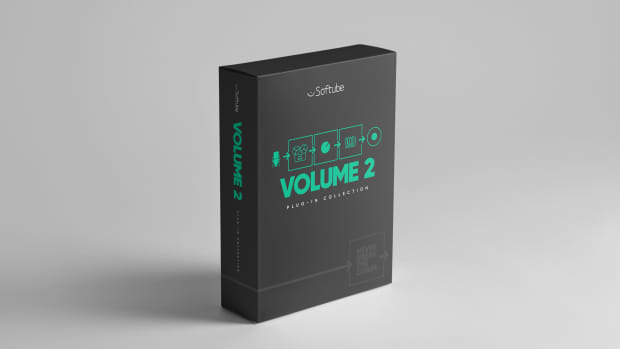 We&apos;ve covered Softube&apos;s installation and setup procedure in previous reviews, and not much has changed in this department—all plugins are authorized via iLok 2 or 3, and installers can either be downloaded from the Softube site or a Gobbler account. While I love Softube, I am not a Gobbler fan—my personal recommendation after many, many headaches with the Gobbler software is to simply download the installers you need from the Softube website and install them manually. 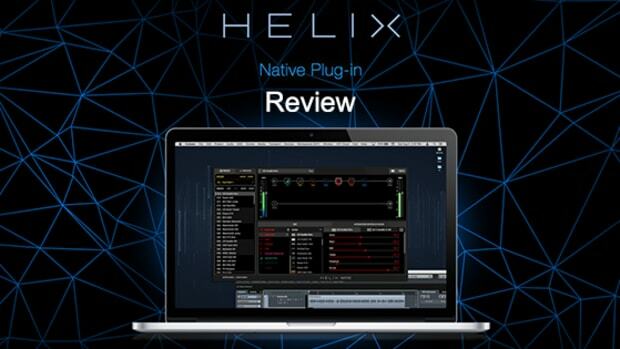 Class A plugins are available in all major formats, including AAX, VST, VST3, and AU. Opening the Class A GUI for the first time reveals the modern, intuitive, and sleek design we&apos;ve come to expect from Softube, with some clear references to API&apos;s classic design schemes, including their own take on the famous blue and white stepped EQ knobs. The plugin GUI makes the internal signal flow of Class A easy to understand: the input signal feeds into variable high and lowpass filters, followed by a &apos;Shape&apos; section (gating, transient enhancement), then into a highly flexible 4-band Equalizer, followed by a compressor and finally an output section with gain and drive/saturation controls. Along the top of the signal path is a switchable Wave/Curves display, which offers a visual representation of compression and equalization parameters. Any of the main processing modules (Gate, EQ, Compressor) can be easily bypassed by clicking the module name at the bottom of the plugin GUI. As I&apos;ve come to expect from Softube—considered by many engineers and producers to be one of the absolute top-notch analog modeling developers—American Class A sounds absolutely incredible. While I haven&apos;t had the opportunity of working on a large-format API console, I have used a number of their rack-mounted or 500 series processors, including the 2500 Compressor and 550 EQ, so I do have a good feeling of how this gear is supposed to sound, and Softube has pretty much nailed it. If I had to describe Class A in one word, it would be " huge." 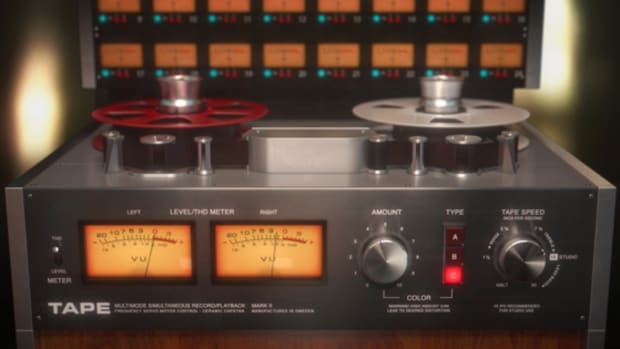 This plugin shapes audio in an aggressive, unapologetic way that very few channel strips do. If you&apos;re looking for a channel strip emulation that can radically rebalance and reshape the input signal, Class A might be the best offering on the market, at least that I&apos;ve tried. It&apos;s possible to put in a lifeless, flat sounding synth or vocal and come out with something that&apos;s aggressive, in-your-face, and loaded with character. 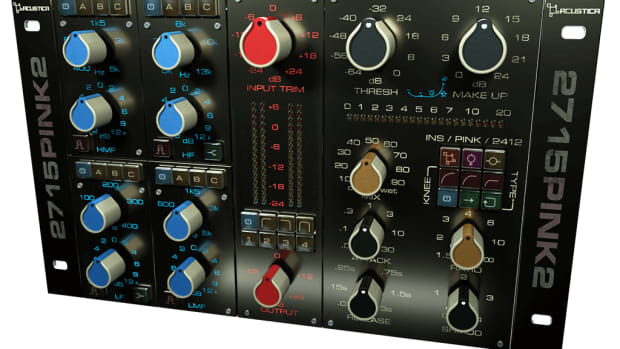 API&apos;s compression sound is legendary, and Class A delivers here in spades. This is an aggressive, massively punchy, and versatile compressor that can radically tone up everything from drums to lead vocals with just a few knob twists. While it&apos;s certainly capable of gentle, smooth compression, I rarely used it for this; it&apos;s much more fun and rewarding to fire up this compressor when you want to make something really bite and punch through the mix. Class A offers both feed-forward and feedback compression models, which both sound phenomenal; feed-forward is great for clean, predictable compression (think busses and groups), while feedback mode is a bit more aggressive and fun to experiment with, often giving great results on drums, synths, vocals, and individual sounds. Softube was wise to add the parallel blend knob here, as it makes this aggressive, forward compressor much more usable for less extreme compression tasks. One major omission here: there is no internal HPF sidechain for the compressor&apos;s detection circuit, which is unfortunate for those of us working with 808&apos;s and bass-heavy material. While I found this less troublesome than most compressors that lack an HPF sidechain, I do hope Softube adds this in a future update. The compressor isn&apos;t the only standout here: similarly, the EQ is absolutely phenomenal, with every bit of the massive low end, forward midrange, and brilliant (but not sibilant or harsh) high-end API is known for. Much like the compressor, this is an EQ capable of radically reshaping sounds even at moderate gain settings—it is by no means gentle. Much like API&apos;s hardware EQ&apos;s, this is not a wishy-washy &apos;I&apos;m not sure if this really sounds different&apos; EQ; it is in-your-face and capable of turning lifeless material into something much more polished. Although there&apos;s no denying the forward nature of this fixed-step EQ, Softube has cleverly added gain multiplier buttons which turn the EQ&apos;s aggressiveness down substantially; using the .25x gain multiplier, for example, changes the first-step gain from 2dB+- to .5dB+-, creating a much gentler sound. Much like the compressor, however, I didn&apos;t find myself using the gain multiplier often, as so much of the fun with this plugin is firing it up on sounds and busses that really need some life, and letting it do it&apos;s work at more aggressive settings. 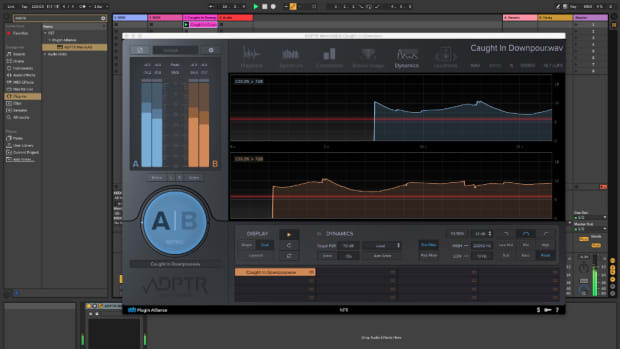 While I expected Softube to bring their A game with the plugin&apos;s Compressor and EQ, I was actually most impressed with (and surprised by) the Shape section, which offers a gate and transient controls. I&apos;ve tried a lot of transient enhancers over the years, and this one is shockingly good—and, much like the rest of the channel strip, it is quite aggressive. Using just a bit of the Punch control, adding some EQ, and smashing it all with some aggressive parallel compression is a winning formula for both single drum sounds and busses with the Class A, and one I&apos;m turning to more often than not. The Output section&apos;s Drive and Drive Character controls were similarly a pleasant surprise. The Drive Character control, while stellar, is a bit unintuitive: the default position is "0", but the manual notes that it should actually be turned to 10 (it&apos;s maximum value) to most accurately model the hardware&apos;s saturation tone. At its minimum value of -10, the Drive Character becomes noticeably dark and low-end focused, with a vibe reminiscent of a well-worn piece of analog gear. At its maximum setting of 10, the Drive control becomes cleaner and brighter, with more of a full-band focus. 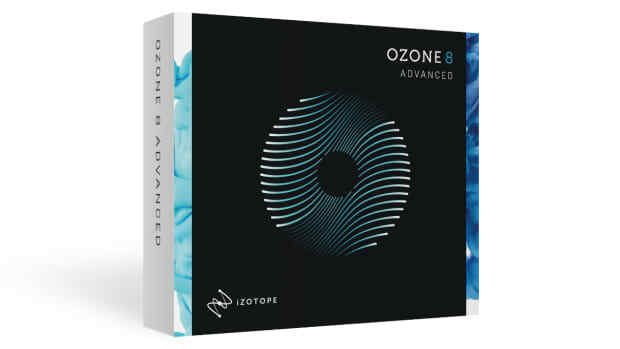 As with the rest of the channel strip, this is an aggressive module; while it sounds absolutely awesome, there are many times I leave it off or use just a touch of drive, as it can alter the tonal characteristics of a sound fairly rapidly at higher settings. 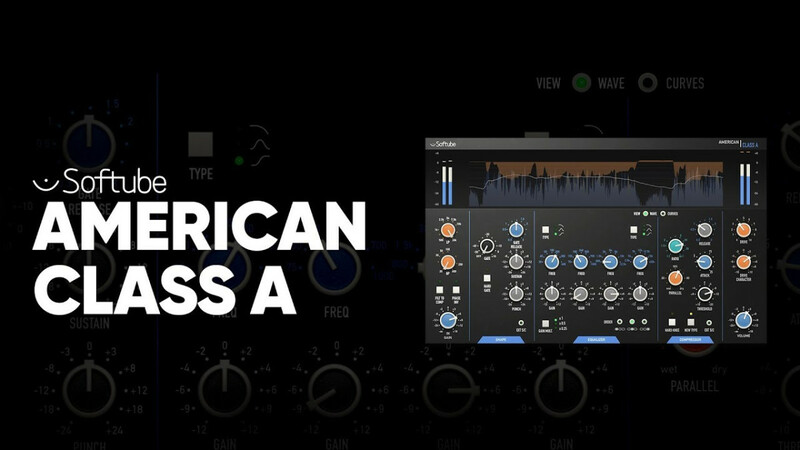 Softube has done it once again with American Class A—it&apos;s one of the best plugin channel strips on the market today, and probably the most aggressive I&apos;ve found to date. It shines on just about any source material, whether vocals or drums, and packs all the punch, tone, and bite you&apos;d expect of API&apos;s legendary hardware. While it can be used for subtle correction or tone shaping, the real fun here is to let this plugin do what it (and the hardware) is made to do: get aggressive and create powerful, forward sounds that power through any mix. Highly recommended.